The Ukrainian state continues its slow-motion collapse, this time with Poroshenko seeking to deal a death blow to the last remnants of the Rada. He has accused “half of the Verkhovna Rada” of being “a ‘fifth column’ which is controlled from abroad, whole factions” after they did not pass a bill labelling Lugansk and Donetsk’s governments as terrorist organizations. Such an action would have granted pseudo-legitimacy to the US in doing the same, with the ultimate intent of connecting supposed Russian support of these entities with “state sponsor of terrorism” status. By his threatening words, Poroshenko is purposely trying to rile up nationalist voters and intimidate any remaining pragmatic politicians in his quest for near-total control over the state, just as an oligarch holds absolute power of his company. Concurrent with this, the West is wholeheartedly supporting Ukraine’s military, although that institution is on the brink of self-implosion as well. The unstable result of these two trends is the dystopian descent of Ukraine towards military dictatorship, all with the enthusiastic backing of the West in its latest anti-Russian crusade. Poroshenko is playing a filthy political game by accusing half of the Rada of being a “fifth column” under Russian influence. In reality, most of the Ukrainian government is a fifth column, albeit of the West, but that’s not the topic at hand here. Poroshenko’s objective is to intimidate the politicians who voted against the “anti-terrorist” bill into thinking that they may suffer the same fate as the recently banned Communist Party, which itself was persecuted because of its supposed “pro-Russian” stance. Not only that, but post-coup Ukraine has an extensive history of human rights abuses and political oppression, so there’s already a discernable track record for what can happen to those who disagree with the regime. Another of Poroshenko’s pursuits is to split society from the Rada and stoke nationalism ahead of early elections, with the hope that voters will go through the motions of democracy in removing his political adversaries under the guise of ‘patriotism’. Although this deepens the political tumult in the country, it conveniently takes the focus away from the impending IMF crisis (for which the Rada collapsed in the first place) and misleadingly blames the country’s problems on internal enemies. Poroshenko is engaging in a calculated risky move to centralize control over the state in the same way that an oligarch does a company, but he is dangerously faced with a Catch-22. He wants to increase his power on the backs of nationalists, but their power and ambitions only grow along with his and they can likely turn on him in the future and make him their puppet (if they even allow him to stay in power, that is). The West knows this, hence why it is hedging its bets by supporting the military as a fail-safe measure of retaining influence in Ukraine in case this occurs. In order to plan for the contingency of Poroshenko losing power against the wish of the West, it has thrown its complete support behind Ukraine’s military. Of course, this is also done for the purpose of crushing the pro-Federalists in the east, but the dual purpose of this support must be examined further. The US has already given nearly $53 million ($5 million and $48 million, respectively) to Ukraine’s military, and if the ‘American Aggression Enabling Act’ passes, the country will become a major non-NATO ally. Even if it doesn’t, the US still plans on going forward with using the California National Guard to train Ukraine’s National Guard next year and will be sending military advisors into the country later this month. The EU has taken an about-face and unexpectedly lifted its arms ban on Ukraine, opening the door for a tidal wave of weaponry to flood into the conflict-stricken country. The supreme irony is that the EU originally imposed the ban on the Yanukovich government in February to prevent “internal repression”, but the current coup-imposed government has killed over 1000 people and counting during its recent “anti-terrorist” operation. The pro-coup Kyiv Post admits that 90 people died in the run-up to Yanukovich’s overthrow, meaning that the current authorities have been rewarded for killing 10x as many people by gaining access to the latest weaponry that Europe has to offer. 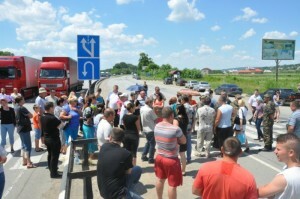 Relatives of Ukrainian soldiers are blocking roads in Western Ukraine in protest against “anti-terrorist operation” in Novorossia claiming thousands of lifes. The logic behind this support is that it is needed to safeguard Ukraine’s economic and political integration with the West via the EU Association Agreement. If Poroshenko is ousted, the military could conceivably run Ukraine and keep Western integration on track, or so the thinking goes. The strategic flaw here is that the military is crumbing almost as fast as the state is, meaning that it is not a reliable proxy ally in any case. 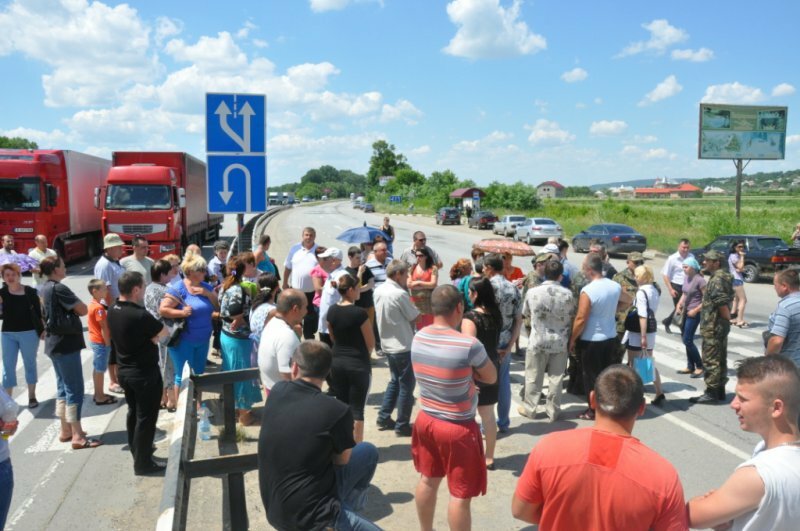 Desertions, poor conditions, inadequate supplies and rations, and protests against mobilization all indicate that the military is very unstable at this point. Providing weapons to such an entity risks them falling into the hands of extremists if the armed forces suddenly collapse, per the Libyan scenario, and even worse, these actors would be trained by the US military in how to use them for maximum lethality. The prospect of Neo-Nazi terrorists using American and European weapons to slaughter immigrants and Muslims in Paris or Berlin, for example, suddenly becomes a disturbing reality. 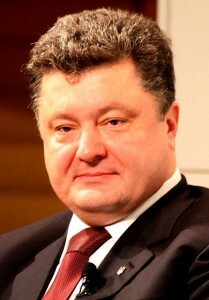 Poroshenko wants to permanently cripple the already handicapped Rada and turn it into a nationalist puppet institution. This is fraught with nothing but risks, but in the quest for absolute power, it is ridiculously seen as a gamble to be taken. The military is to be strengthened via the ‘Reverse Saakashvili’. The renegade Georgian increased his country’s military spending by 24.5x in a mere four-year period prior to launching a war, but Poroshenko wants to emulate this during and after the actual war, using the ‘Russian threat’ to receive copious Western assistance with this project. However, the West won’t foot the entire bill, hence why scientific funding had to be cut and a new 1.5% military tax imposed. Militarization is slated to occur on the upper level with the official armed forces and on the lower civil level with Pravy Sektor threats, intimidation, and radical nationalism. The population is to be kept in a siege mentality, with the government playing up the threat of internal enemies (“fifth columns”), “terrorists”, and the ‘Russian threat’ and ‘Crimean occupation’. 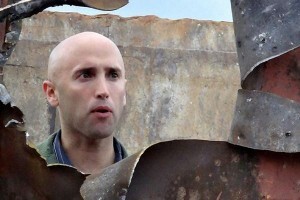 British journalist Graham Phillips, 35 was kidnapped on July 23, 2014 by the Ukrainian security service, tortured and expelled from Ukraine for working at the “enemy” RT Channel. The war on journalism will continue unabated, with the country being the most dangerous in the world for this profession so far this year. Journalists that do not toe the official government line will be persecuted and kicked out of the country, much as the examples of Graham Phillips, Alina Eprimian, the LifeNews crew, and others illustrate. The banning of select Russian media has also become a hallmark in a country endeavouring to join the pro-‘Freedom of Speech’ EU. Bringing everything together, Poroshenko wants to maintain external protection (Shadow NATO) and a seal of approval (European ‘legitimacy’ and the EU Association Agreement) to institutionalize his power grab. Thus far, the West is enthusiastically supporting him every step of the way. Winning the war in the east is not as important to Poroshenko as solidifying internal political gains for him and his clique. One must always remember that he is first and foremost an oligarch and old habits die hard, as the saying goes. The biggest threat here is that Poroshenko will be overthrown by the same nationalist forces that he envisions as helping him deepen his power, and the military may be powerless to stop this (if it isn’t co-opted by the nationalists by that time). What makes the slide into military dictatorship and nationalist destabilization all the more dystopian, however, is that ‘Western values’, which always promote themselves as being holier-than-thou, are firmly behind bringing this nightmare into the heart of the European continent.